Before visiting Marrakech, I don’t think I’ve ever fallen in and out of love with a place in an instant. It gives an entirely new meaning to the word chaos. It is a whirlwind of emotion and a virtual an assault on the senses. (all five of them). The motorists whizzing by, the smells of tajine, the heckling calls of the street vendors… at first you’re shocked, then confused, and then, then you’re in love. Here are 6 things you should do while you’re in Marrakech, and 1 that you definitely shouldn’t. I don’t think I’ve ever experienced something like Jemma el-Fna Square. 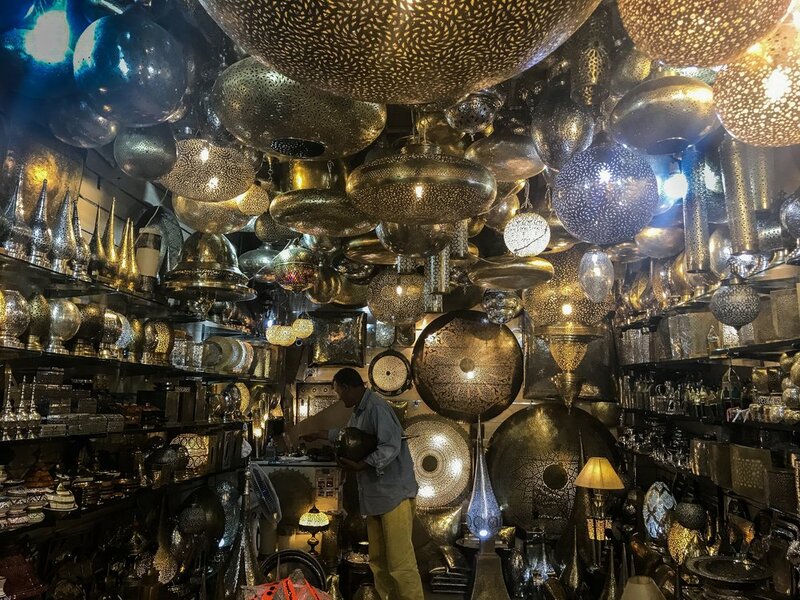 It is essentially the heart beat of Marrakech, pulsing to the rhythm of snake charmers and Moroccan drums . The entire place is packed with performances, monkeys, tourists, locals, food stalls, and chaos. Take time to wander around the enormous square and watch all of the street performers. If you find yourself there at night, grab a seat at one of the hundreds of food stalls churning out kebabs, fish, and other Moroccan fares. The Ben Youssef Madrasa is an amazing manifestation of Islamic architecture. The former Islamic school is deemed “The Most Instagrammable Place on the Planet.” While normally that title would be a deterrent for me, I have to admit the Madrasa has definitely earned its title. Two steps into the entry way and you realize why people would want to spend hours taking photos of the intricate carvings and ornate tile designs. Getting lost in the medinas of Morocco was a pretty big constant in my trip (i.e. 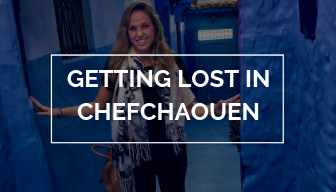 Chefchaouen), but I never really seemed to mind. It’s so easy to aimlessly wander the winding streets taking in their beauty. Take some time to truly explore the small ally ways that make up the Marrakech medina before heading to the famed Moroccan souks. Heckling and bargaining are two words that are virtually non-existent in the American shopping experience, however they are two words that are ingrained in the Moroccan culture. It took a little bit of getting used to, but it’s actually a really fun experience to bargain with the stall owners to get the best price for ornate lamps, leather goods, and hand woven rugs. Head over to Place des Épices for a look into the true flavors of Moroccan cuisine. The small shops surrounding the square are lined with all types of spices from famous Moroccan spice blends to mint crystals and cold curing mystery spices. The square itself is a bustling market full of vendors selling baskets, rugs, fruit juices, and just about any other thing you could think of purchasing. The rooftops of Marrakech provide an unparalleled chance to escape the chaos and watch it from above. Enjoy a meal, coffee, or mint tea at one of their rooftop terraces while the city continues to buzz on below. And now for the 1 thing you should avoid (at all costs). By our 10th day in Morocco we thought we’d seen (and in some cases fallen into all of the tourist traps there were… but this was on another level. If you’re expecting the tannery in Marrakech to be anything like the famous tannery in Fez, you are in for a surprise. We were taken into the tannery by two men outside the door offering a tour. After telling them that we did not want a tour and attempting to leave, they followed for about half a mile as we walked away yelling and demanding that we paid for the 1 minute we spent in the tannery and the tour we did not agree to. In some Moroccan tourist locations it is common for a local to offer to show you around, and you are expected to give them some money for their time. However, we had not experienced something so aggressive and hostile. I would definitely recommend avoiding the experience all together.